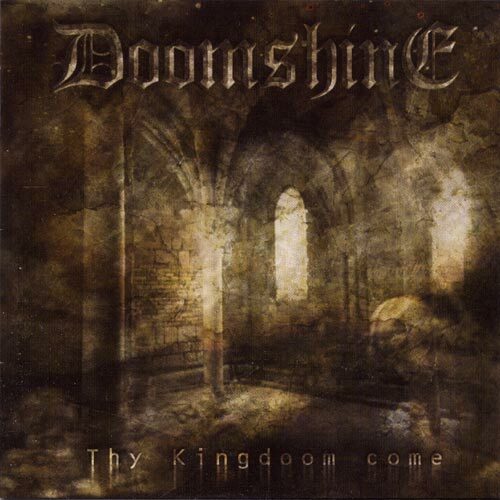 Doomshine is a German epic doom metal band, formed in 2000 in Ludwigsburg. 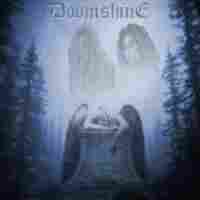 They were first billed as 'Sleep With The Devil', but when Tim Holz took the part of vocalist, they were retitled as 'Doomshine'. 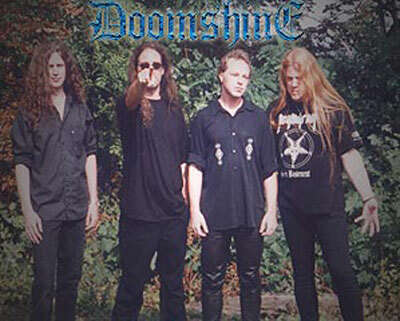 The track 'Shine On Sad Angel' was included in the compilation 'Metal Crusade V' in February 2003, followed by their appearance on the festival 'Doom Shall Rise'. They sign a contract with Massacre Records and the single 'Shining In Solitude' comes out, followed by the lp record 'Thy Kingdom Come' in 2004.